Editor’s note: This post is a Care2 favorite, back by popular demand. It was originally published on March 4, 2015. Enjoy! Cockroaches get a bad reputation. Although these creepy crawlies are traditionally associated with dirt, disease and squalor, cockroaches actually have a lot to offer the world. At the very least, they are quite interesting. Like spiders, who are often misunderstood too, cockroaches have some remarkable similarities to humans. After reading these five little-known tidbits about cockroaches, you’ll see that we are not so different from these insects, after all. We are connected — and even dependent on each other! 1. Not all cockroaches are pests. In fact, very few cockroach species coexist in human spaces. Out of approximately 4,000 species of cockroaches on the planet, only about 30 of them can be considered pests. Most cockroach species occupy niche habitats that are located in forests, caves, burrows or brush. For that reason, we typically do not come in contact with them. 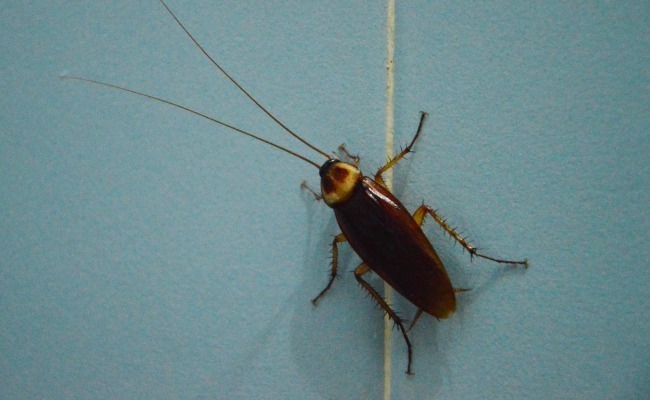 There are thousands of cockroach species that are unknown to most people. 2. Cockroaches like to be touched. 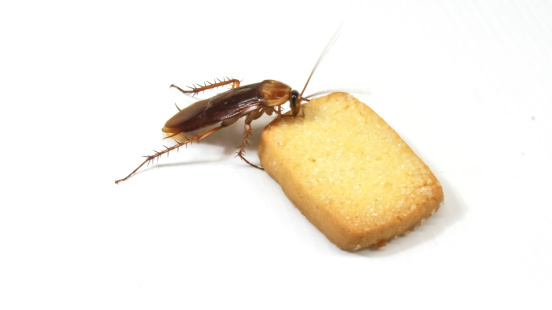 Cockroaches are thigmotropic, meaning they like to feel solid contact against their bodies, preferably on all sides. They seek out cracks and crevices that will offer them the comfort of a tight fit — so crammed, that the small German cockroach can fit into a crack as thin as a dime. The more sizable, American cockroach, will squeeze into spaces that are no broader than the thickness of a quarter, to seek out the touch that comforts them. Pregnant female cockroaches can even squeeze into a crevice as thin as two stacked nickels, and they’re perfectly fine with it. 3. Cockroaches are good moms. A mother cockroach will incubate her eggs in protective sacs or capsules called oothecae. Some cockroach mamas will keep the ootheca attached to their bodies, carrying it with them until the eggs are ready to hatch. In other cases, the female will drop the ootheca or affix it to a substrate for safekeeping. 4. Cockroaches get cravings too. Even a little beastie has got to eat, but these tiny critters don’t just consume food, they enjoy it, too. Two Tohoku University Professors, Makoto Mizunami and Hidehiro Watanabe, found out that cockroaches could be conditioned the same way physiologist Ivan Pavlov trained his infamous dogs. The professors introduced the scent of vanilla or peppermint right before giving the cockroaches a sugary treat. Researchers discovered that the reward caused the cockroaches to drool. Later, when the cockroaches’ antennae detected one of the two scents in the air, they would salivate. The disappearance of cockroaches would disrupt something called the nitrogen cycle, which is undoubtedly integral to us all. Since most cockroaches feed on decaying organic matter, they help trap a lot of nitrogen. A feeding cockroach has the effect of releasing that nitrogen in their feces, which then gets deposited into the soil and, in turn, is reused by plants. Consequently, the extinction of cockroaches would have a huge impact on forest health. These surprising facts about cockroaches are not only informative and entertaining, they are also eye-opening. All living beings, small or large, are trying to survive and find life’s pleasures. We all contribute something to this giant ecosystem. We can all certainly reside among each other in this world. Even if we are not yet ready to have cockroaches as our roommates, there is no denying that these buggers are way cooler than we had formerly imagined. Still had to buy some poison boxes for them all. Some neighbors kept building up trash in their yards and it was like a horror movie at my house! Like all of Mother nature's beings, great or small, they all have a purpose! Amazing creatures that keep the balance of earth going. U rock, cockroaches! People give you a bad rap. Grazie per le notizie di cui ero all'oscuro!! I still scream for my husband to come get them when I see them. They scare me when they are big and flying at my face or creeping across the ceiling at 3 am in the morning. I do find the article interesting through and am glad I read it. I will try to respect them as long as they respect me. This be MY house, go find your own. I am trying to figure out what humans contribute to the planet. It seems like the planet would be a lot better off if we don't mess with it.